Star Wars: The Force Awakens picked up four VES awards last night at the Visual Effects Society's award ceremony last night, including the award for Outstanding Visual Effects in a Photoreal Feature (roughly the equivalent of the Best Visual Effects Oscar). 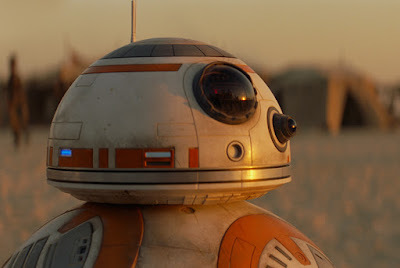 It also won the Outstanding Models in a Photoreal or Animated Project award for BB-8, and the Outstanding Created Environment in a Photoreal Feature award and the Outstanding Virtual Cinematography in a Photoreal Project award for the Falcon Chase/Graveyard. Other winners at the VES awards include The Revenant, Mad Max: Fury Road, Game of Thrones, and The Good Dinosaur. You can find the complete list of winners here. Congrats to the VFX crew of The Force Awakens for their wins!